Need to see a colleagues calendar to see what their things they’ve got scheduled for today? Here’s a quick and easy How to View Other Colleagues Calendar guide to help you do just that. 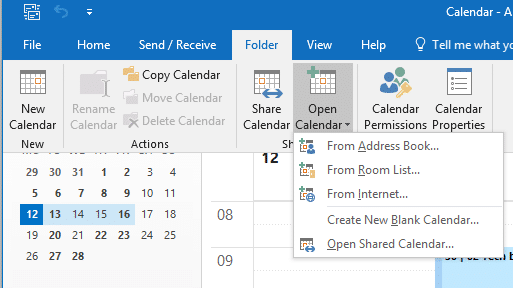 On your calendar, select ‘folder’ and go to ‘open calendar’. 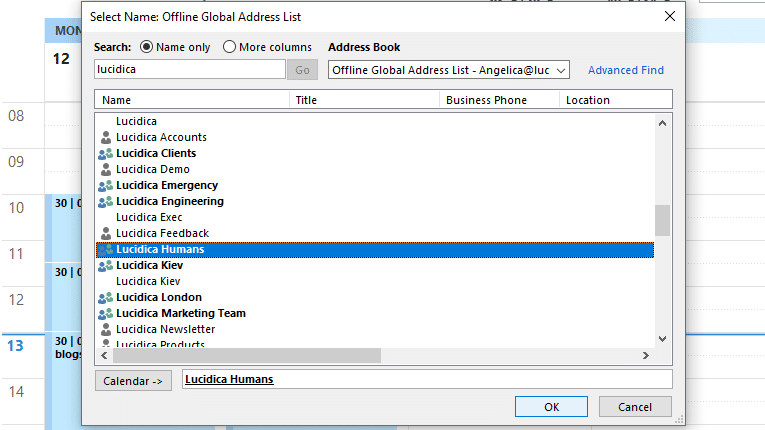 Choose from the selection, in this case, we chose ‘From Address book’ and type colleagues name whose calendar you want to access, select their name and click ‘ok’. Once selected, their calendar will appear beside your own. NOTE: If the colleague hasn’t given you permission to see their calendar, they will be sent an email request to ask their permission.